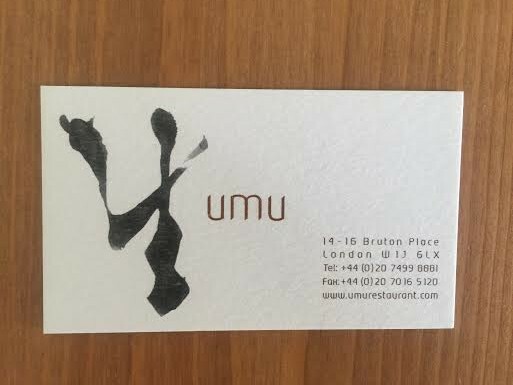 Umu is a Michelin starred Japanese restaurant that has been around for over ten years now. It’s owned by the same group who run The Greenhouse and Morton’s members club. It was a slightly stern welcome from a chap who could have easily been a headmaster as opposed to a maitre d’; certainly not rude but not forthcoming with the lovin’ either. 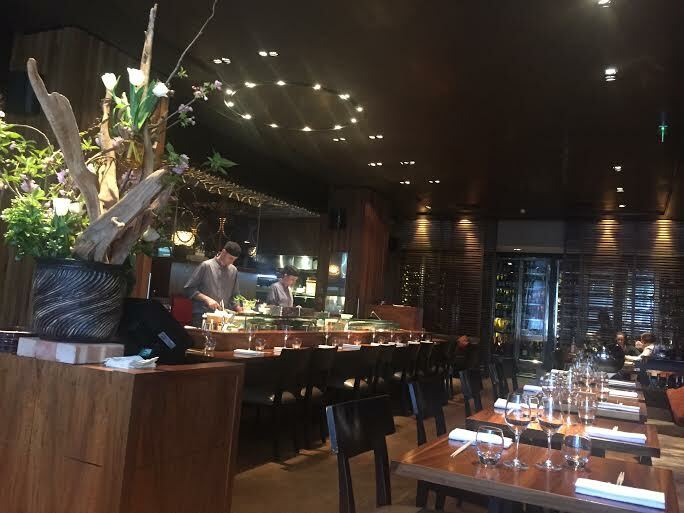 The room was a nice enough space with a counter overlooking the chefs preparing the sushi. As it ain’t cheap, not in the slightest, I would have preferred not to have had disposable chopsticks though. 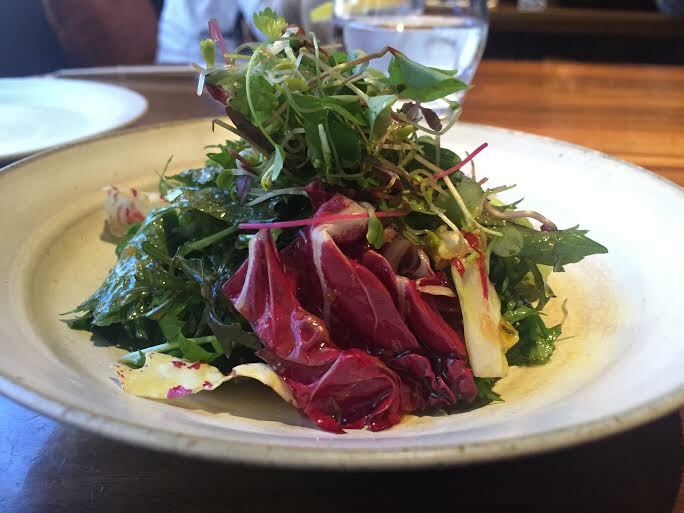 A simple salad generously drenched in a red onion dressing was a really lovely start. 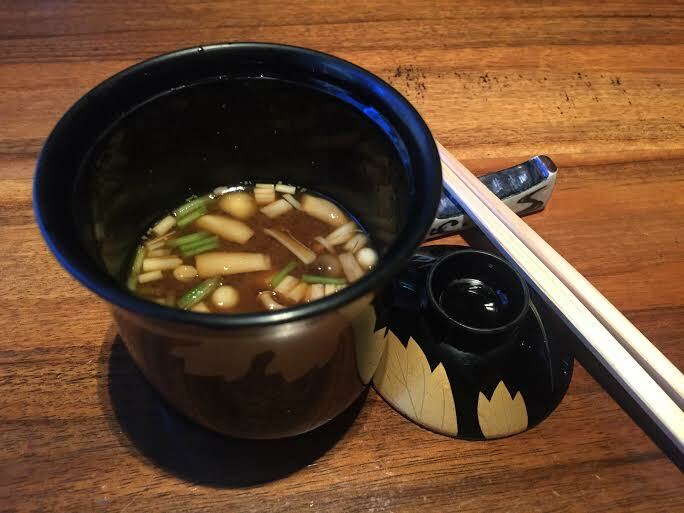 As was the cup of rich, hearty red miso soup. 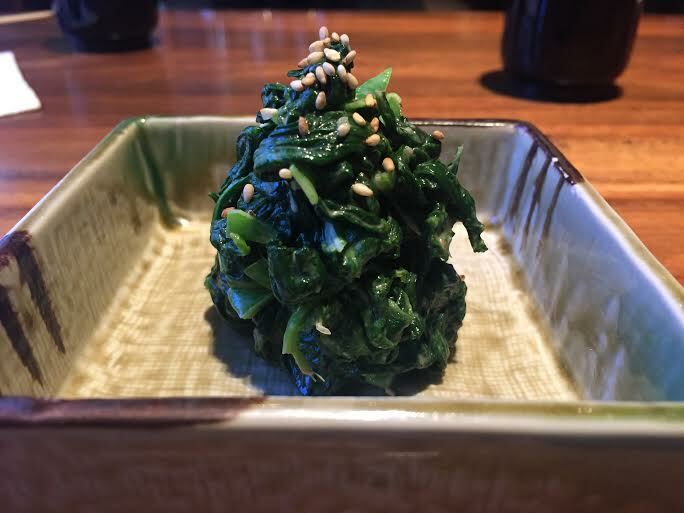 As the sushi we ordered was taking a while to prepare, we were treated to an extra little dish of goma-ae, which was a delicious mound of sesame flavoured spinach. We decided to avoid the set lunch bento box (£35) and instead opted for the chef’s special sushi selection (£38). It looked pretty but there were a few greasy fingerprints on the plate, which you’d hope not to be the case at that level of restaurant. 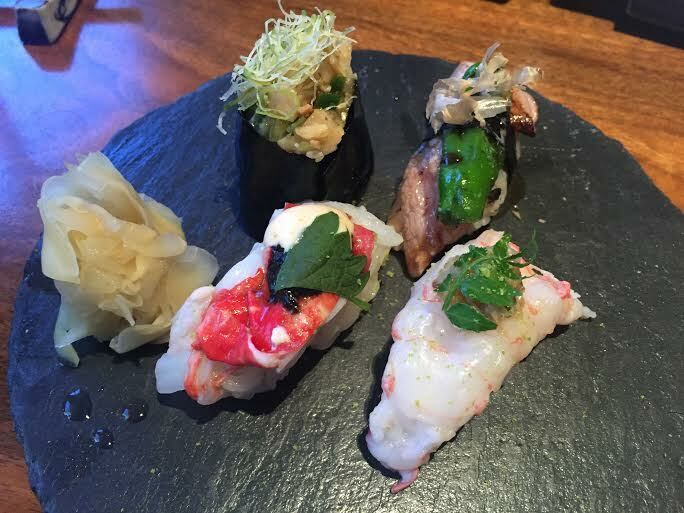 The scallop and eel nigiri were my favourite. 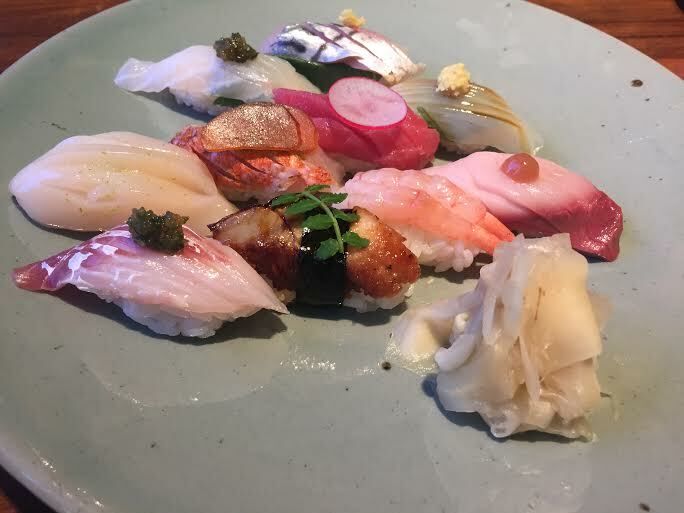 We also opted for some of their signature style nigiris; toro with shishito pepper (£9.50), lobster (£7.50), langoustine (£9.50) and seared scallop (£5.50). Certainly not cheap but worthy of their price due to the superb quality of each piece of fish. 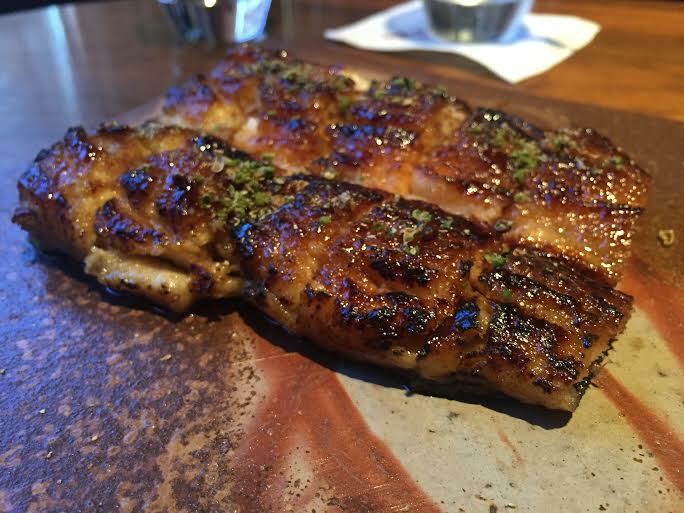 Welsh wild eel kabayaki (£32), which refers to the preparation and cooking of the eel in a sweet soy sauce, was a proper corker. The skin was insanely crispy and the soft, oily flesh had soaked up the sugary soy, resulting in an indulgent mouthful to say the least. At the more gimmicky end of the spectrum, the Japanese fish and chips (£28) were pleasant pieces of tempura stone bass and prawns, but the chips were little artichoke crisps which brought nothing to the party. 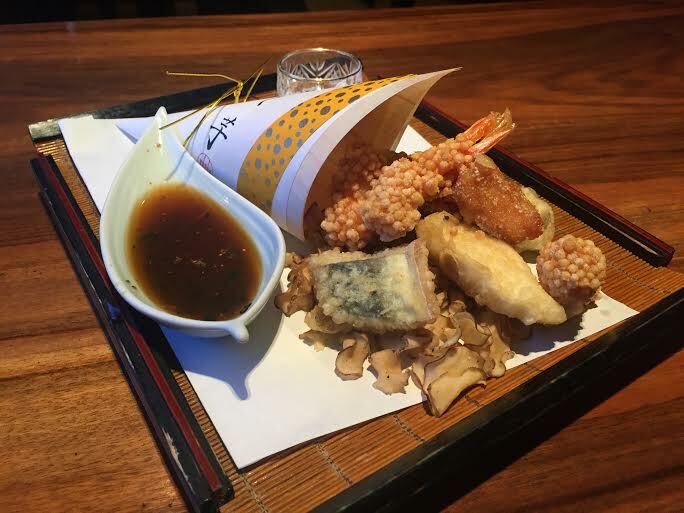 They should have just served some really lovely pieces of tempura fish on their own. 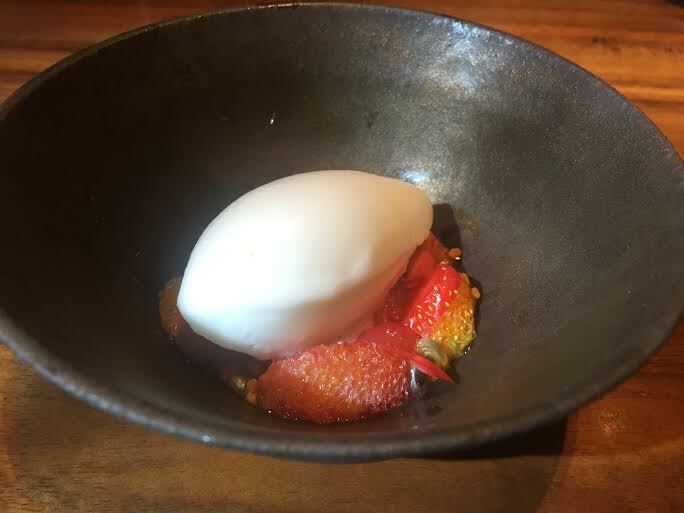 A small dessert of fresh fruit with white asparagus ice cream was included with the sushi selection. Some things are destined to remain a vegetable and I think I can now safely say that white asparagus is one of them. 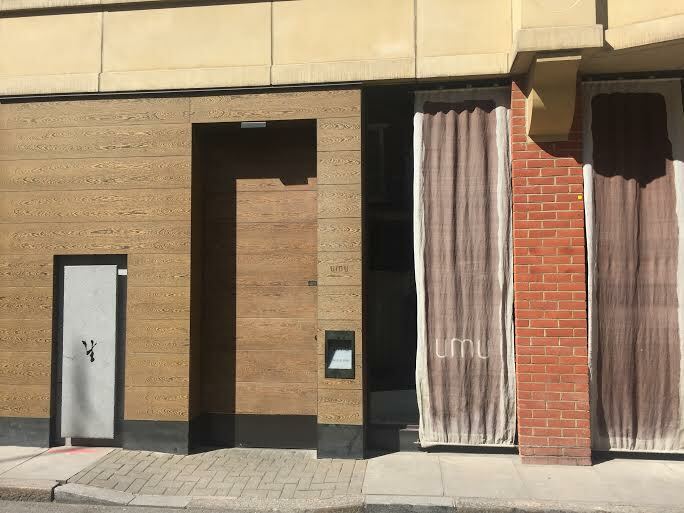 Umu was eye wateringly expensive, but then again, you are in a mews in Mayfair eating top notch sushi. But even so, there’s other places I can think of where I’d rather go and do just that. I didn’t leave feeling besotted with the place (which I was kind of hoping I would) but it was a very pleasant lunch.